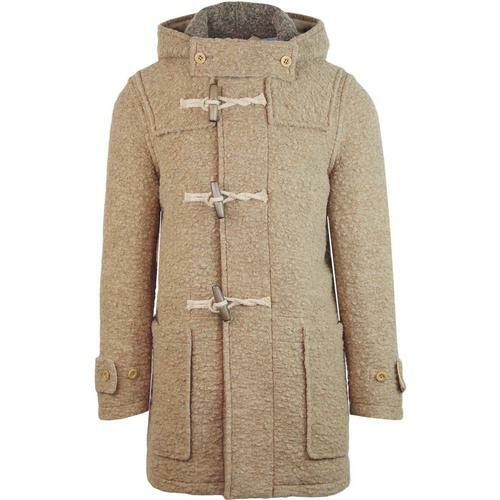 Gloverall x Pretty Green Made in England Union Jack wool duffle coat in camel. Two British fashion brands collaborate to bring this 90s Britpop and 60s Mod inspired outerwear behemoth to market. A real collectors piece that sees Gloverall's iconic 'Monty' silhouette given a contemporary slim fit look whilst maintaining all the traditional Gloverall duffle coat traits. You've got the classic fixed shoulder cape, pancake hood, patch side pockets, retro cuff adjusters and throat tab... not to mention the jute rope wooden toggle fasteners. The real pièce de résistance is the awesome Union Jack front panel in striking red, white and blue - effortlessly conjuring up images of the legend Liam Gallagher and scenes from the 1990s Britpop Indie era. We also think of Pete Townshend and The Who, with their garb and imagery oft associated with the Union Jack flag. 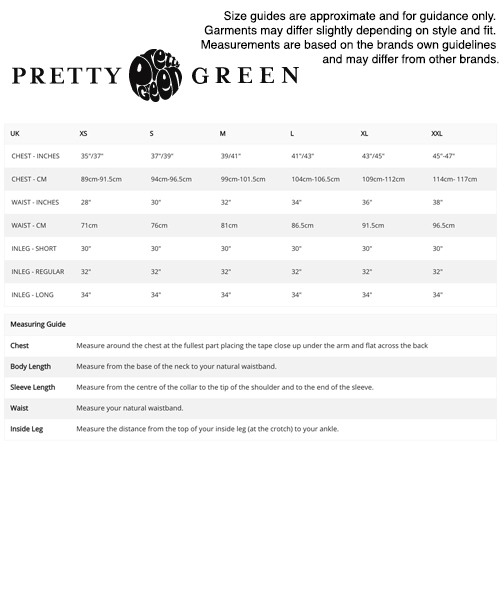 A coat that will stand the test of time - The Gloverall x Pretty Green Union Jack Duffle Coat is crafted from premium wool blend fabric and is ideal for the colder weather. 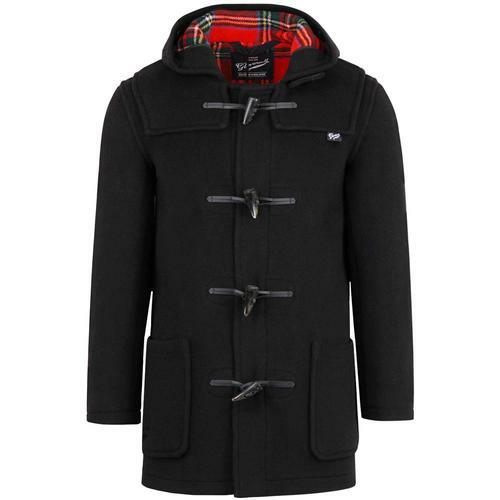 Stand out in style this season with the Gloverall x Pretty Green Union Jack Duffle Coat. 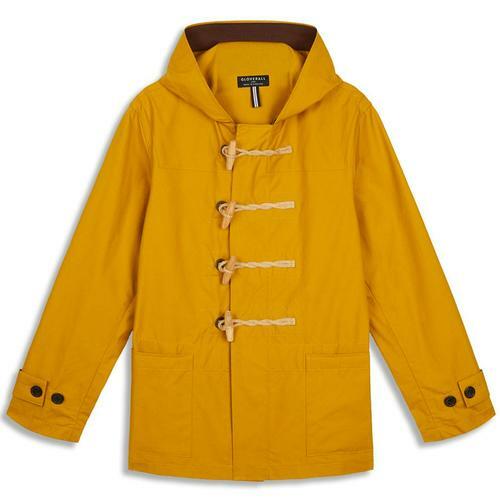 - Gloverall x Pretty Green Union Jack duffle coat in camel. - Premium wool blend construction. - Union Jack flag panel to front. - Pancake duffle coat hood. - Patch pockets to sides. - Retro tab cuff adjusters. - Unlined with Herringbone inner tape trim. - Jute rope fasteners with wooden toggle detail. - Classic duffle throat tab. 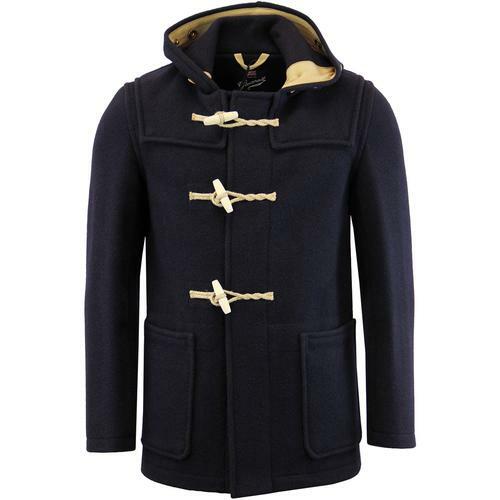 - Gloverall Slim 'Monty' duffle coat silhouette. 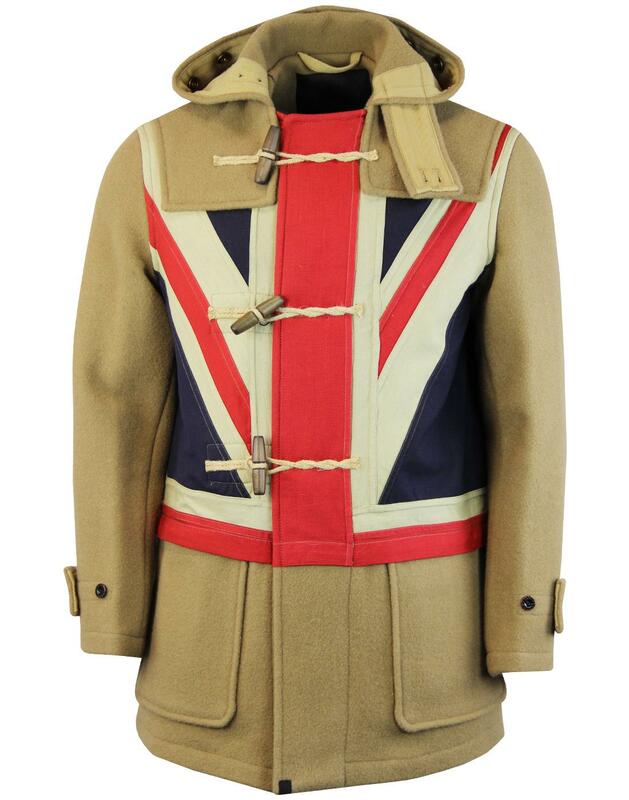 - A7BMU14297334 Union Jack Duffle Coat. Composition: Shell 1: 85% Wool 15% Polyamide, Shell 2: 60% Cotton 40% Linen. Regular fit (Gloverall's slim Monty silhouette).